CULLOWHEE, N.C. - On a rain-soaked, chilly Saturday at Western Carolina, conventional wisdom might've been that Furman needed to try to grind out another victory. That's what the Paladins did last Saturday in a gritty win over Mercer. That game marked the first time this season that Furman didn't have a play of at least 44 yards. On Saturday, the grind stayed around, but the big plays returned. The Paladins' one-two fullback punch combined for 321 yards and Furman's defense had its best game in years. All of it added up to a 28-6 win over the 18th-ranked Catamounts. It's the sixth consecutive win for the Paladins (6-3, 5-1 Southern Conference), who remain tied for first place in the SoCon with Wofford. While Western Carolina lost its dynamic sophomore quarterback Tyrie Adams to a leg injury in the second quarter, the Catamounts (6-3, 4-2) still had plenty of star power on an offense that entered leading the SoCon in scoring (38.6 points per game) and total offense (467.8 yards per game). That included standout running back Detrez Newsome, who returned to the starting lineup Saturday. Despite missing three games, Newsome still had the 15th-most rushing yards in the FCS entering the game with 626. 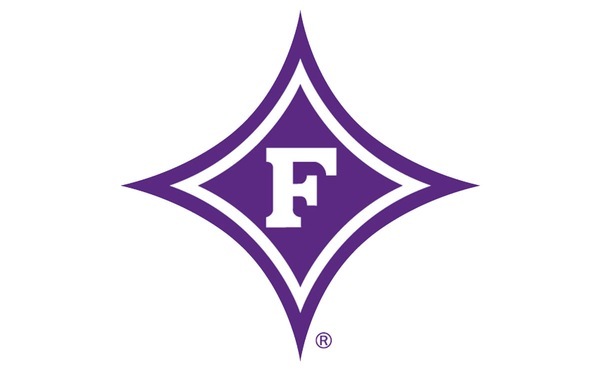 Furman coach Clay Hendrix said he would've never imagined holding Western Carolina to six points - its lowest total since being shutout by Chattanooga in 2014. "I knew we had to score some points," Hendrix said. "Our defense continues to play well - with a bunch of young guys - against a team that really stretches you in a bunch of ways. "Our kids prepared well. ... It's just a great win for us." Newsome rushed for 110 yards Saturday, but only had 27 on seven carries in the second half as Furman dominated after halftime. Newsome averaged 4.2 yards per carry, well below his season average of 7.4 yards. Despite snapping 20 more plays than Furman, Western Carolina was held to 348 yards of total offense. Only a Western Carolina touchdown with 1:39 left prevented the Paladins' first shutout since 2004. "They've got some really good backs and our main emphasis this week was stopping the run," said linebacker Joe Farrar, who had eight tackles Saturday. "It makes it so much easier when you see the offense clicking like that (after halftime). It just gets us more fired up to go out and get them the ball back." Furman held a 7-0 lead at the half despite having only 144 yards of total offense, including 84 on the ground. After P.J. Blazejowski left with a shoulder injury in the first quarter, he returned for the Paladins' first drive of the second and made a brilliant play to account for the lone score of the half. After faking a handoff to the fullback, Blazejowski spun like he was beginning an option run. Then he pulled back and fired a bomb that hit Andy Schumpert in stride for a 44-yard touchdown. Blazejowski threw just two more passes the rest of the day and finished with only four attempts. But the Paladins didn't need to throw after halftime. Furman had 279 total yards in the second half - all on the ground. "We just cleaned up a couple of things (after halftime)," Hendrix said. "I thought our coaches did a phenomenal job of making just a couple of minor adjustments." After Antonio Wilcox broke off a career-long 68-yard run on the second play of the second half, fellow fullback Kealand Dirks looked like a whirling dervish, twisting his way into the end zone for a six-yard touchdown run. With Furman ahead 14-0, Western Carolina needed to make something happen and did when Marvin Tillman made a diving catch of Blazejowski's third interception this season and first since Sept. 23. On the next play though, Washington forced Newsome to fumble and Bryan Okeh recovered. The Paladins made the Catamounts pay for the second chance as two plays later, Dirks rumbled 53 yards for a touchdown. Wilcox removed all doubt midway through the fourth quarter when he broke free for a 48-yard touchdown run, giving him a SoCon-best 10 rushing scores this year. Wilcox finished with 202 yards on 21 carries, while Dirks had 119 on 15 attempts. "There were a lot of yards we left out there in the first half. We just had to stick with what we do and execute a little better," Wilcox said. "When you're running the ball for 300 yards, that has a lot to do with the o-line. It's not hard to run for 200 yards with those holes." After an off week next Saturday, Furman hosts rival Citadel at 2 p.m. in the regular season home finale Nov. 11.